I’ve had some very nice foreign rights news this summer, with deals for A Dark and Twisted Tide in the Czech Republic, Dead Woman Walking and Awakening in Poland, Daisy In Chains in Croatia, Dead Woman Walking in Norway, The Craftsman in Germa ny and Sweden and a brand new Italian publisher, Newton Compton, who will be publishing Dead Woman Walking sometime next year. My thanks, as always, to Rosie and Jessica Buckman of The Buckman Agency for all their hard work. 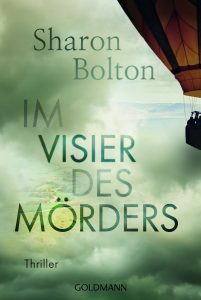 Seen here is the gorgeous German cover for Dead Woman Walking which will be published as Im Visier Des Morders or In Sight of Murder.